Rosia Montana is a small village in the heart of Romanian Transylvania. Its natural, cultural and historic heritage is of an inestimable value. Today an open-pit gold and silver mining project threatens to destroy this village and forever pollute its groundwater. 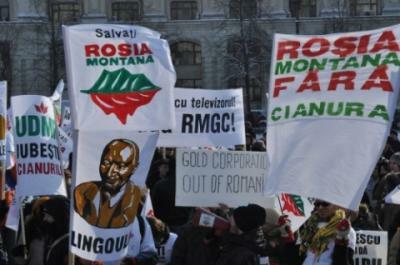 This project, one of the largest in the world, is led by the Canadian company Rosia Montana Gold Corporation (RMGC).